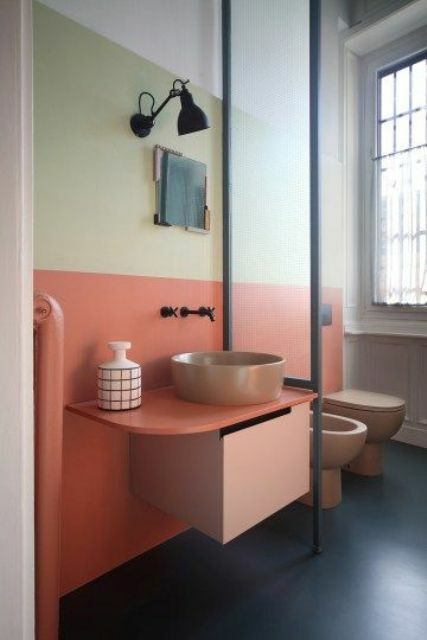 If you want your bathroom to stand out but all the traditional ways for that aren’t your thing, try color blocking. 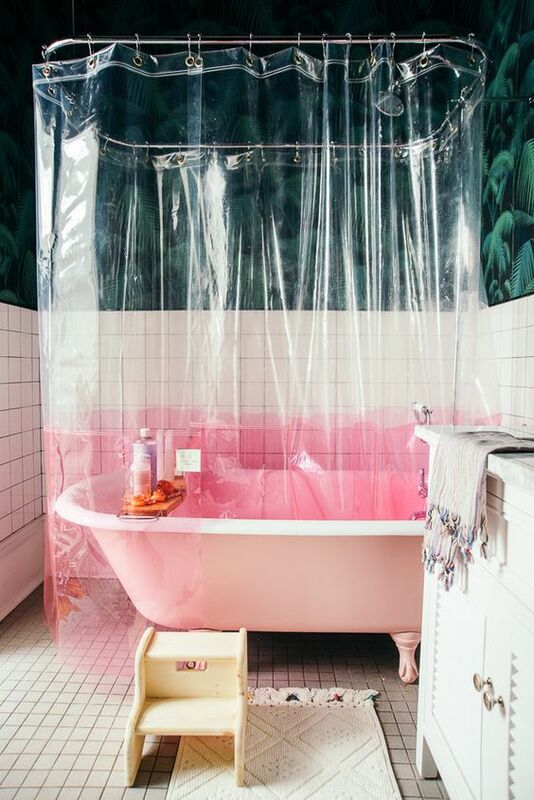 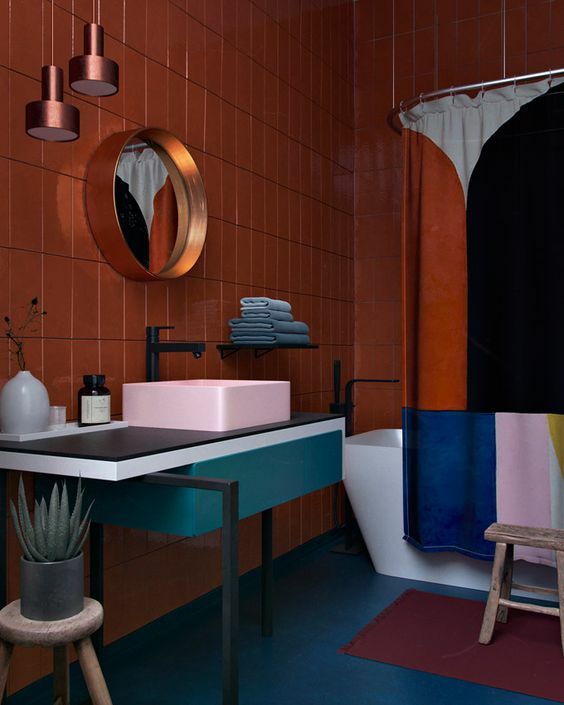 Color blocking in a bathroom means that you’ll get a super bright and bold space like no other, you may go for various materials and craziest color combos ever, so your space will be special. 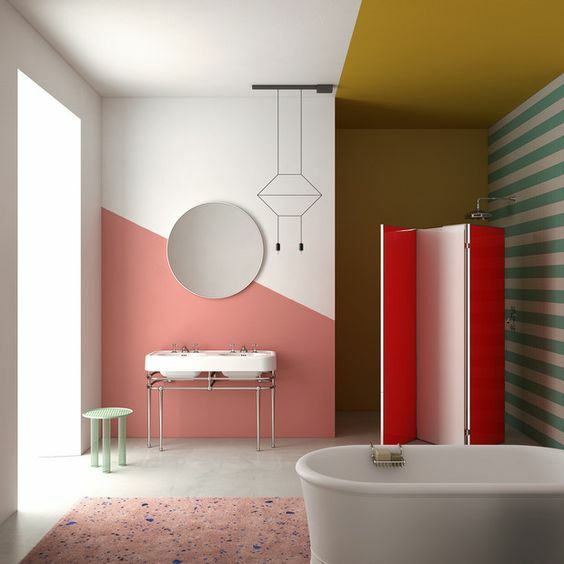 Your mood will definitely raise every morning upon entering such a bathroom – color blocking is a trendy decor method you should try. 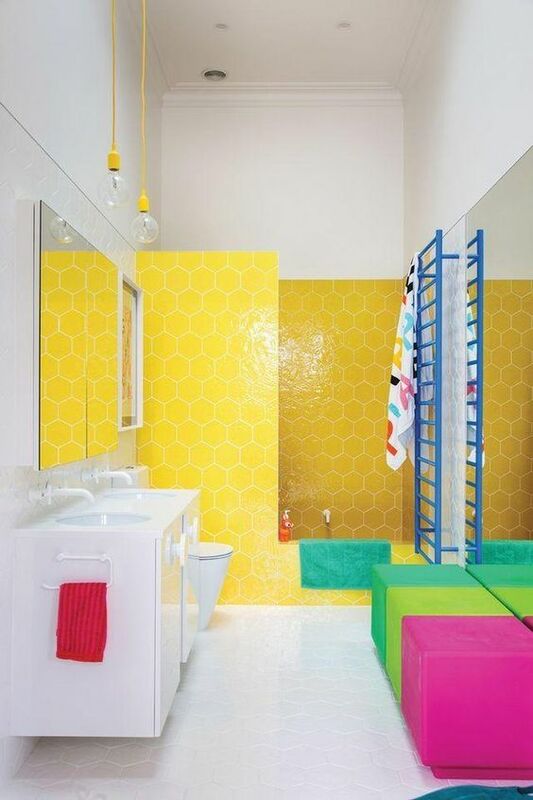 If you are still hesitating, here are some ideas that will convince you. 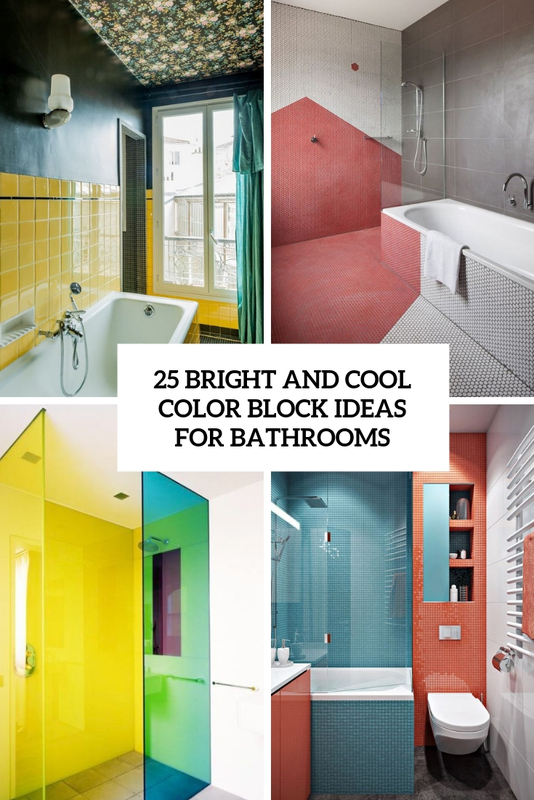 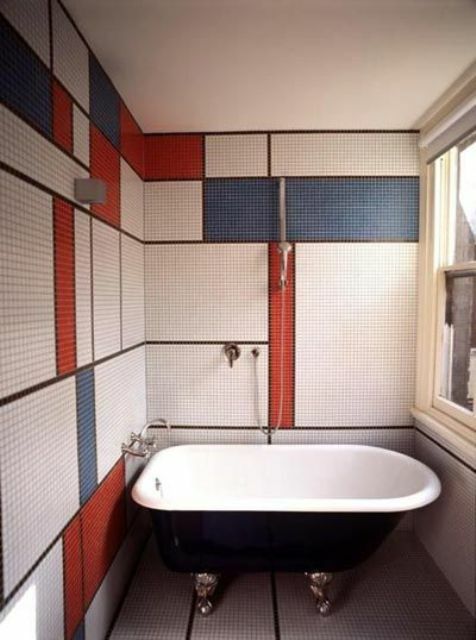 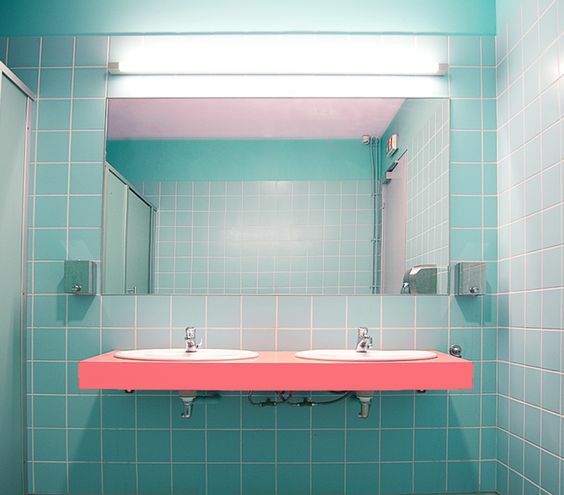 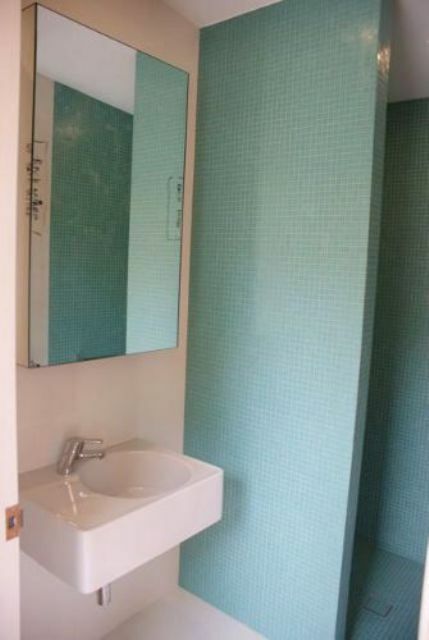 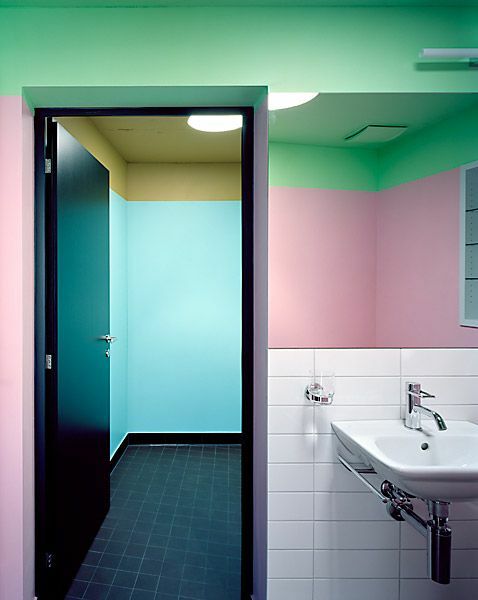 The most popular idea for color blocking in bathrooms is rocking that on the walls. 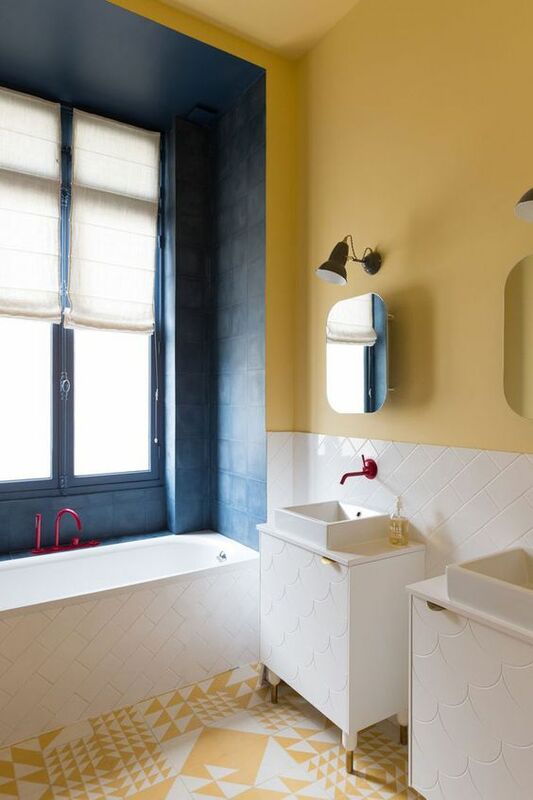 You may try all different walls clad with tiles of contrasting bold shades or create the color block effect on the walls using paints. 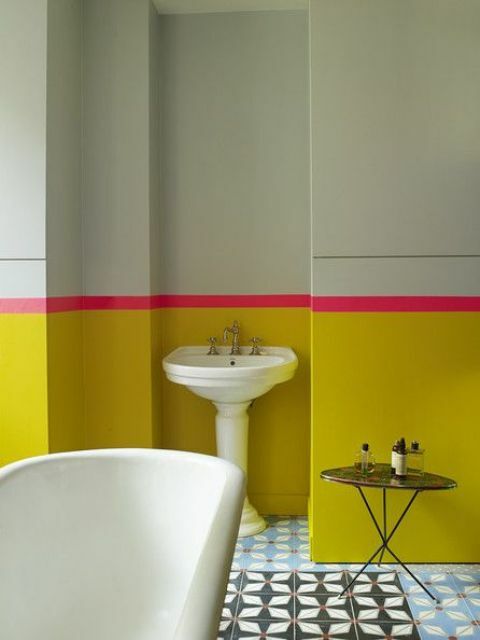 Paint various parts of the wall in different colors and voila – you’ve got a trendy look for cheap! 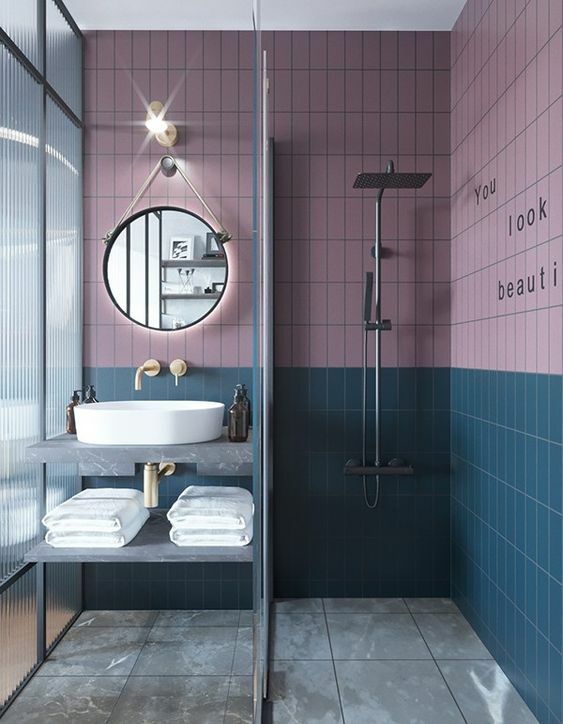 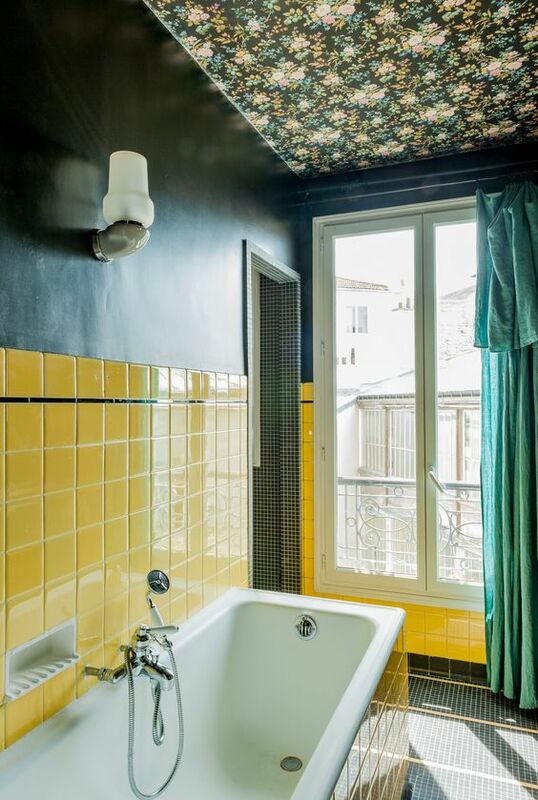 You may also create a bolder contrast in your bathroom by positioning not only the colors but also the materials, for example, use wallpaper of one color and tiles of another, or stone of one shade and paint of another. 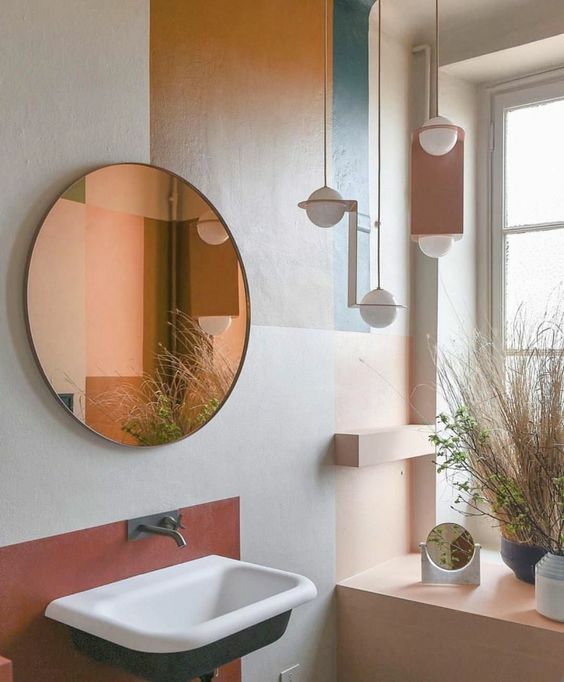 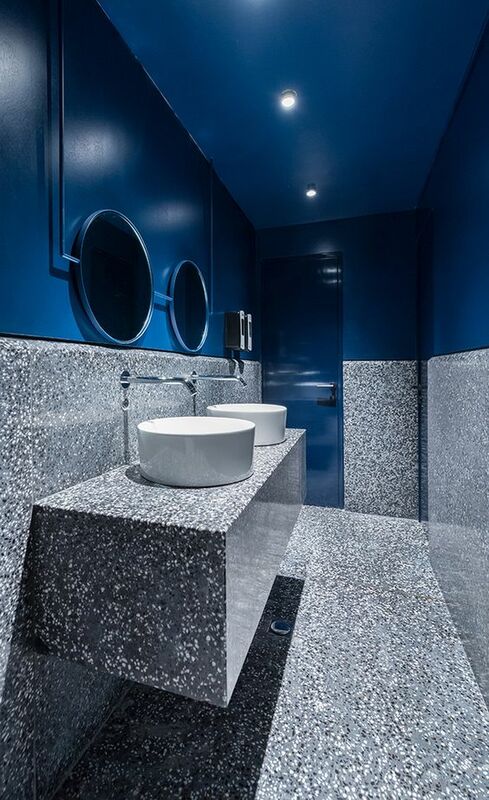 If you don’t feel like changing the walls much, just color block using a vanity and a sink and your wall – rock very different shades to make a statement. 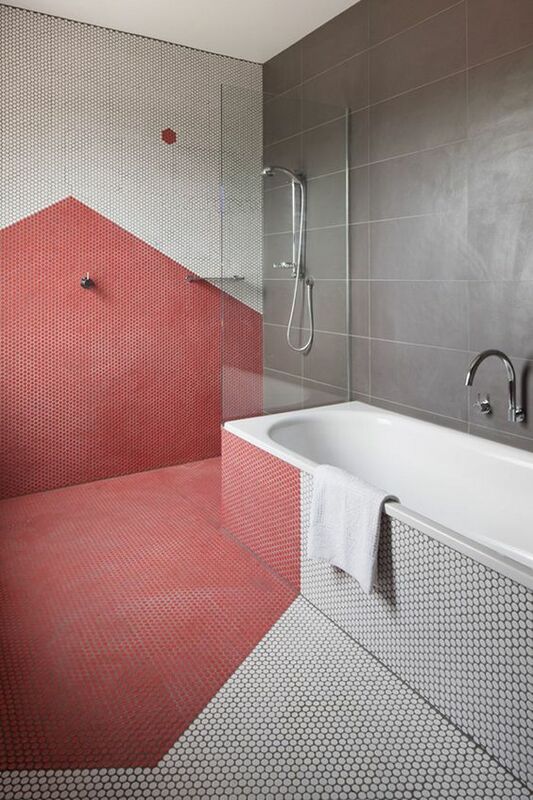 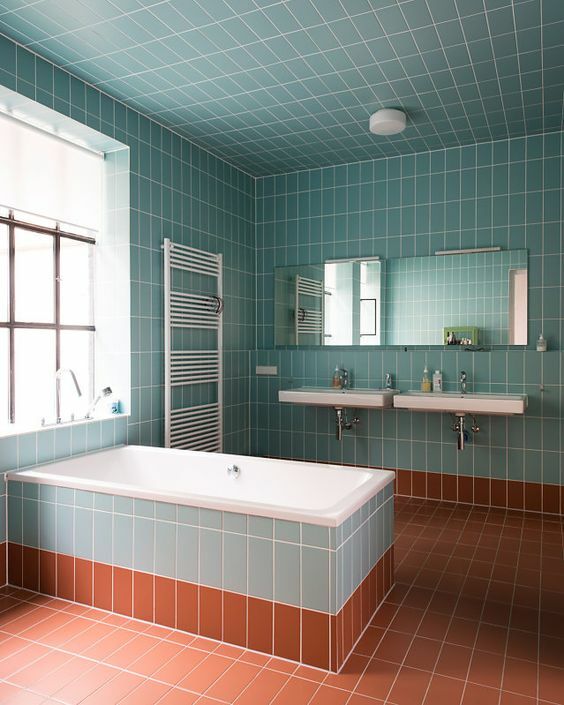 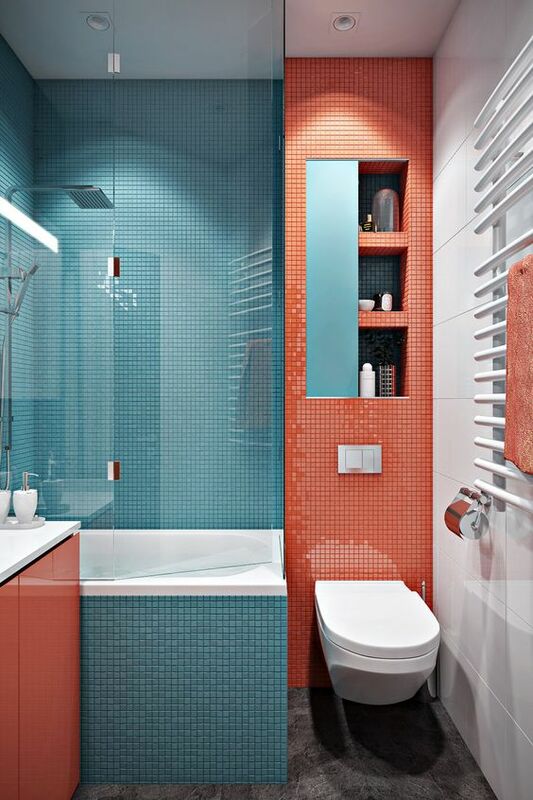 If you have a shower space, go for super bold color block walls of glass or tiles to make it stand out a lot. 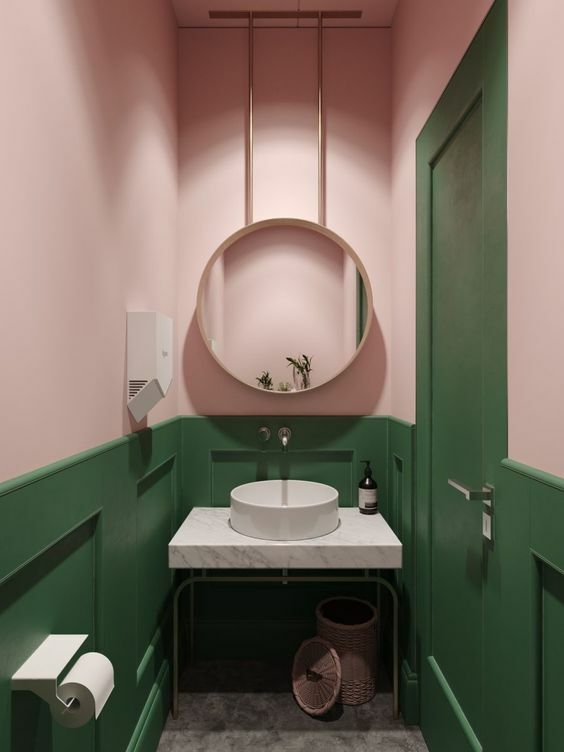 Other furniture like little tables or upholstered benches and seats can also be color blocked, and this way you won’t have to change a lot in your space. 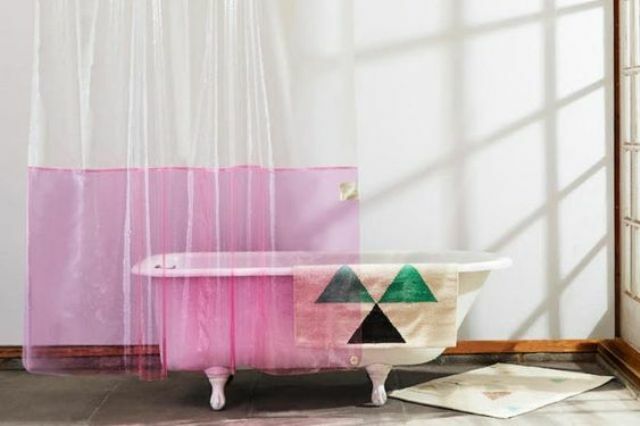 The last but not least idea is to hang color block shower curtains, which is a very budget-friendly and easy DIY idea.